While some of us may wonder why we even need ads for toilet paper (because seriously, who isn’t buying toilet paper? 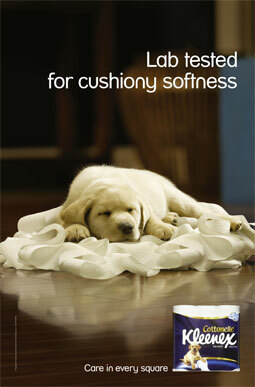 ), advertising companies know that cuteness sells the brand. Without further ado, here are some of the cutest toilet paper ads that, in our opinion, have been shown on TV. This cuddly golden Labrador has been synonymous with Kleenex for many years, and has never failed to win the hearts of viewers – even if they don’t buy Kleenex. The popular pup has featured in countless ads for Kleenex toilet paper in over 30 countries and even has a wax figurine in Madam Tussaud’s in London as a testament to Kleenex’s successful advertising campaign. Rather than opting for a puppy, Swedish brand Lambi used an adorable lamb last year to advertise the softness of their toilet paper. The Lamb is on a quest to find soft things. After trying marshmallows, cuddly toys, and even a pile of sheep’s wool, it decides that Lambi toilet paper is the softest of them all. Yes, this is another puppy. 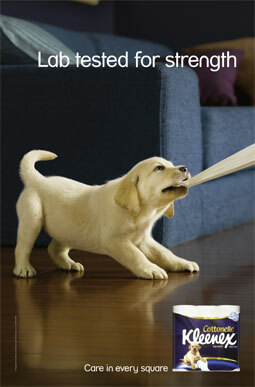 It seems that British brand Andrex had the idea behind a ‘toilet paper puppy’, which was followed by Kleenex later on. Both companies are owned by the Kimberly Clark Company, which would explain why they have the same dogs in their ads. 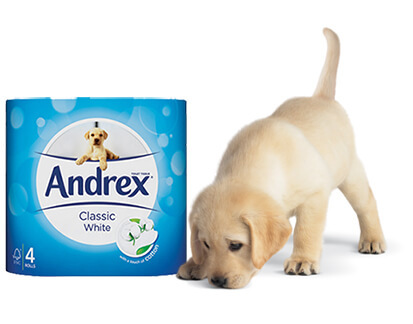 The Golden Labrador made its Andrex debut in 1972, and was the star of 130 ads up until 2010 when the company switched to an animated dog. Here is his first ad from 43 years ago. So, you don’t want to use a cute animal like the other companies, but still want an ‘aww factor’? Use kids! As well as being cute, these little girls are bound to make you giggle. Watch the playlist on the Quilted Northern YouTube channel. Quilted Northern also gets an honourable mention for their funny series of ads that aired this year. “Designed to be forgotten” is their latest series of ads which explores the internal monologue of six inanimate objects in people’s bathrooms. Intrigued? Watch the series of ads here.